January 10th, 2019 | Moving Tips. Packing up and storing the items in your garage is a big job, especially when it comes times to relocate your lawn equipment, including your riding lawn mower, push mower, and weed eater. Preparing these items to be moved to the storage facility is the first step, and preparing the storage area to prevent damage is the second. 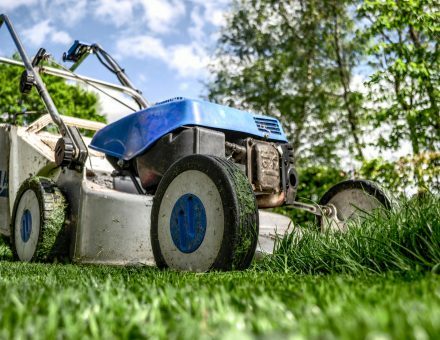 Here are a few tips to help you properly prepare and store your lawn equipment. Lay down a tarp. Find a flat, well-ventilated area to prepare the mower. A tarp will protect your property from gas and oil stains. Grab plastic jugs to store the fluids in. Drain out all the liquids. Pour the gasoline and oil into the plastic jugs. Contact your local waste management company to find out where to properly dispose of the liquids. Remove the mower blades. Wearing a thick pair of work gloves, carefully remove the mower blades and set them aside. If you’re having trouble removing the blades, check the owner’s manual. Clean the mower, attachments, and blades. Remove all the dirt, grass, debris from the mower and blades with a cloth and soapy water. Allow the components to dry completely. Wrap the blades in bubble wrap to protect them, you, and the vehicle from damage. Remove the spark plug from the mower. The fumes lingering in the mower’s engine will provide enough spark to start the engine, so take the spark plug out to prevent this. Place the spark plug in a box or plastic bag and keep it in a safe place. Once these steps are complete, your lawn mower can be stored in a storage unit. Remove the fuel from the tank and carburetor. Empty any remaining fuel from the tank into a plastic recycling jug. Idle the engine for a few minutes until it dies completely. This ensures all the gas and fumes are completely gone. Clean the inside of the tank. Remove any fuel deposits or debris from inside the tank with a long wire or plastic brush. Do not rinse the tank with water. Clean the unit. Eliminate any dirt, debris, or grass chunks from the entire unit with a rag and soapy water. If you’re storing the weed eater for several months, remove the spool and spray any moving components with a lubricant. Check the owner’s manual to determine the best lubricant for your model. 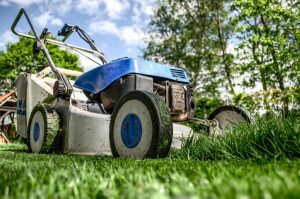 If you’re hiring a moving company to take your riding lawn mower or push mower to the storage facility or your new home, you must remove all of the oil and fuel from the unit. It is hazardous for the movers to relocate mowers that are still filled with fuel, and most professional moving companies will not do it. Use ramps that attach to the back of your truck or rented moving van, if you’re moving the lawn mower on your own. Put the riding lawn mower in neutral before carefully pushing it up the ramps. Once in the truck or van, turn the back wheels slightly. This will prevent the mower from rolling backwards. Put the mower into park before securing it with rope or bungee cords. Place any components you removed from the push mower, including the blades, into a secure box. Carefully push the lawn mower into the van or truck and turn the wheels slightly. Secure the mower with a bungee cord or rope. 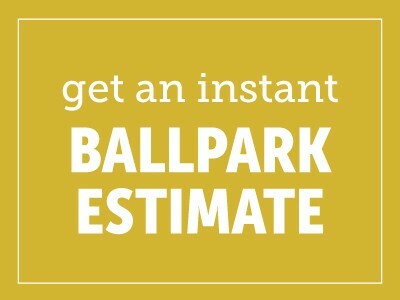 Cover the floor of the storage unit with a tarp before bringing in the push or riding lawn mower. Place the mower on top of the tarp to prevent any damage to the flooring. Store the weed eater off the floor on a shelf or pallet. Securing the weed eater on a hook off the floor is another option to prevent damage. Ask the storage facility if you can place a hook on the wall, or if they have units with hooks available. Ask the storage facility about their policies concerning filling the lawn mower or weed eater’s gasoline tank with gas or a fuel stabilizer. Storing a mower or weed eater for an extended period can cause moisture to collect inside the gas tank, which can cause damage. Prepping, moving, and storing your lawn equipment, such as a mower or weed eater, correctly will prevent damage to the unit, your vehicle, and storage facility. If you have any more questions about moving and storing this equipment, contact the professionals at Bekins Van Lines, Inc.